Located in the eastern Santa Monica Mountains off of Laurel Canyon Boulevard, 128-acre Wilacre Park provides access to the Betty B. Dearing trail and the Cross Mountain Park trail system to Fryman Canyon Park, Coldwater Canyon Park, and Franklin Canyon Park. 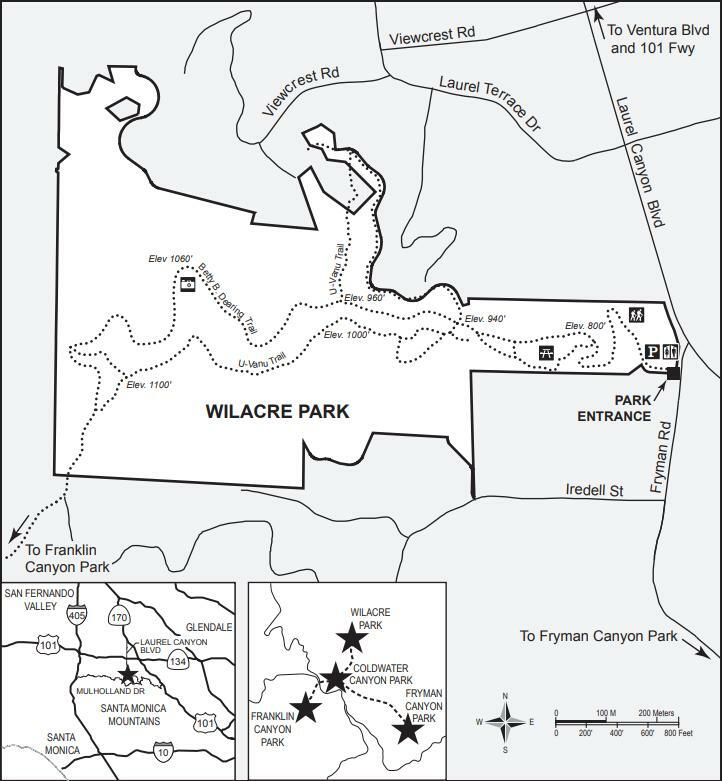 A large parking lot, restrooms, drinking fountains and a picnic area as well as its easy accessibility by car or MTA bus make Wilacre Park a popular destination for hikers and dog walkers, especially on weekends. Although it starts off steep, the wide easy trail meanders through chaparral, walnut woodland and coastal sage scrub, and is well-shaded.